Inside The Practice The Team Why Us? Katy trained at Newcastle Dental school and qualified in 2005 with a distinction in restorative dentistry. She particularly enjoys treating nervous patients and children and carrying out all types of treatment including metal-free restorations, tooth whitening, Invisalign, braces and veneers . Katy understands the importance of listening to patients and keeping you at ease. Katy has three young children and in her (spare) time, she enjoys cycling, swimming, sailing and cooking. Andy trained at Newcastle Dental School. He has worked in the Great Dunmow and Essex area for the past 9 years. He has an interest in cosmetic, restorative dentistry, dental implants and facial aesthetic treatments such as Botox and Invisalign. He enjoys taking on challenging full mouth cases. He also enjoys the variety of general dental treatments, orthodontic treatments and the challenges of more complex cases. Andrew lives in North London and is a keen swimmer and Crossfit member. Daniel was born and raised in Essex. He trained at Guys, Kings and St Thomas’ in London. Daniel is advanced in dental and facial cosmetics cases. He has orthodontic experience in Invisalign, Inman Aligners, 3D aligners and uses Botox and Dermal Fillers in his facial cosmetic treatments. As much as he enjoys complicated cases he still gains immense satisfaction in simple fillings and seeing his regular patients for a check ups. He enjoys spending time with his young family, gardening and, when allowed, DIY. Megan grew up in Chelmsford and qualified from Guy's, Kings and St Thomas's school of medicine and dentistry in 2012. Megan has since worked in practices across Essex, Suffolk and Norfolk as well as the Oral Surgery department at Addenbrookes hospital. This has enabled her to work with some fantastic mentors and gain invaluable experience. As a previous dental phobic herself, Megan really empathises with nervous patients and with her gentle, non-judgemental approach she aims to keep patients at complete ease. In her spare time Megan plays netball for a local team, loves to ski and going to the gym. She has recently taken up triathlon training. Seema graduated from the University of Manchester over 16 years ago and gained her MJDF qualification from the Royal College of Surgeons in 2010. 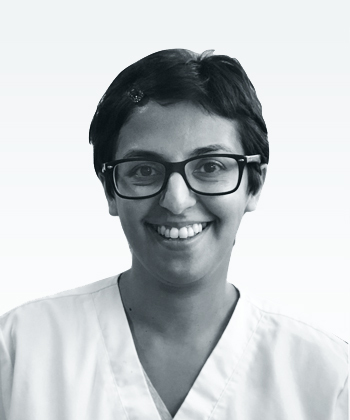 Seema has completed numerous dental courses with a focus towards restorative and aesthetic dentistry. She is also fully trained and experienced in the administration of Botox and Dermal Fillers at the Dr. Bob Khanna Training Institute and Innomed training course. She is an advocate of the "natural look" helping you look younger, refreshed and more confident. She likes to spend time her with patients, understanding their treatment goals and personal needs. Her friendly personality and gentle approach puts even anxious patients at ease and has seen her build a very loyal base wherever she has worked. Anish is a consultant oral surgeon with over 15 years specialist experience. He qualified from Guy’s Hospital in 1999 with double honors and embarked on a career in oral surgery. His expertise lies in all aspects of oral surgery such as complex wisdom teeth removal, cyst removal, biopsy of patches, apicectomy and tongue tie surgery. Anish has also developed a special interest in oral medical conditions such as oral ulcerations, burning mouth syndrome and lichen planus. He is one of the clinical leads for community dental services for SE Essex and lectures nationally and internationally on oral surgery. He contributes of medial journals and has published many articles on oral surgery and oral medicine. Rob qualified at the Royal London Hospital in 1992. After a spell in general practice in Essex and central London, he started his MSc in Periodontlogy at the Eastman Dental Institute in 1995. In 2001 he was accepted onto the Specialist list. In 2005 he set up a Multi-disciplinary Specialist Practice in Milton Keynes. He lectured locally on a range of Periodontal subjects to his referring colleagues and set up a local study group. 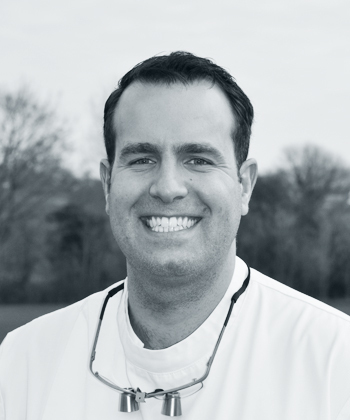 Rob sold his practice in 2014 and has been a peripatetic Periodontal Specialist. Robert combines Practice with a teaching role at Guys Dental Hospital. He lectures in Periodontology as well as helping to run Consultant Clinics. He enjoys supervising students in the care of their patients. Rob is delighted to receive referrals from his colleagues and is happy to use his expertise to treat patients with all ranges of Periodontal disease. Wail Girgis is a Specialist Prosthodontist, he is especially skilled in the replacement of missing teeth with implants and the restoration of the compromised dentition (teeth). Wail trained at King's College Hospital Dental School, London and went on to complete an MSc degree in Conservative Dentistry (Distinction) at the Eastman Dental Hospital, London where he taught thereafter as a clinical lecturer. He also went on to teach at the International Centre for Excellence in Dentistry on the Implant Certificate Course and is a member of the International Team for Implantology, for whom he is also a clinical lecturer.